« Arlin Stoltzfus and The Curious Disconnect. 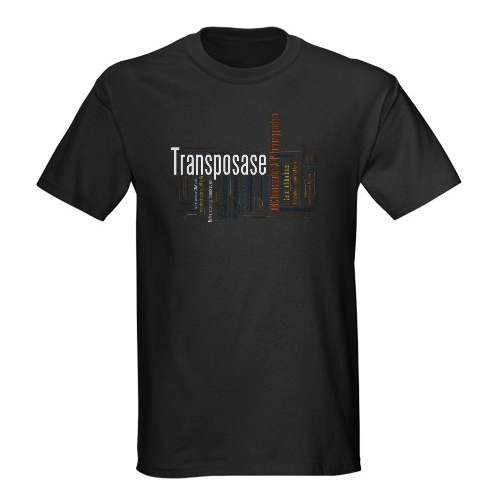 Over at the Evolver Zone store, there is an exciting new line of T-shirts featuring a “word cloud” of the most common gene products in nature — the most abundant of which is transposase encoded by transposable elements. If you’re a TE Geek, check them out. Click here to check out the new shirts. They were created in Wordle using data and the layout idea from Aziz et al. (2010), with design input from my graduate student Tyler Elliott.